Boise (pics) is the capital of Idaho so we stopped off here to have a look at another state capitol building. Our visit was actually three nights at Ambassador RV Resort in Caldwell, ID, which is a little west of Boise. The Idaho state capitol was initially built in 1905, designed by John Tourtellotte who did a fine job of using skylights and reflective marble surfaces to capture natural sunlight in the interior space. In addition to the natural marble, the large columns supporting the rotunda appear to be marble but actually have a surface finished with scagliola – a mixture of gypsum, glue, marble dust and granite dyed to look like marble. This process was originated in Italy during the sixteenth century and is not often found outside of that country. 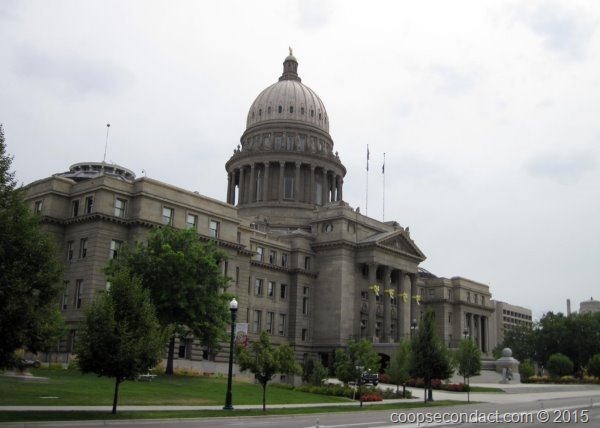 After concluding that the building was not safe and was in need of modernization, in 1998 the Idaho Legislature authorized a plan to restore and expand the capitol. As with many such projects, the restoration incurred delays but in 2010 the capitol was rededicated with the interior space restored to its original design as well as with the addition of two new underground wings that added 50,000 square feet of space for offices and meeting rooms. 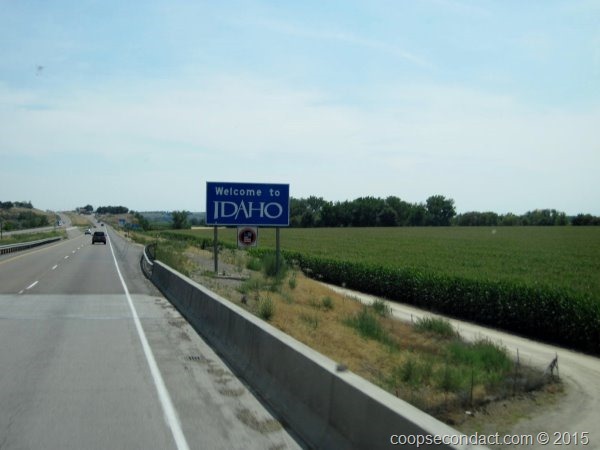 This part of Idaho has a significant population who are descendents of immigrants from the Basque region of Europe, an area at the western end of the Pyrenees Mountains, straddling the border of Spain and France. When we arrived they had just completed a multi-day Basque festival, Jaialdi, in downtown Boise. Kevin, how much to park at a place like this one?